May 8, 2018 - The University of Toronto is set to build a 14-storey academic tower made of timber on its downtown Toronto campus – expected to be the tallest mass timber and concrete hybrid building in North America. 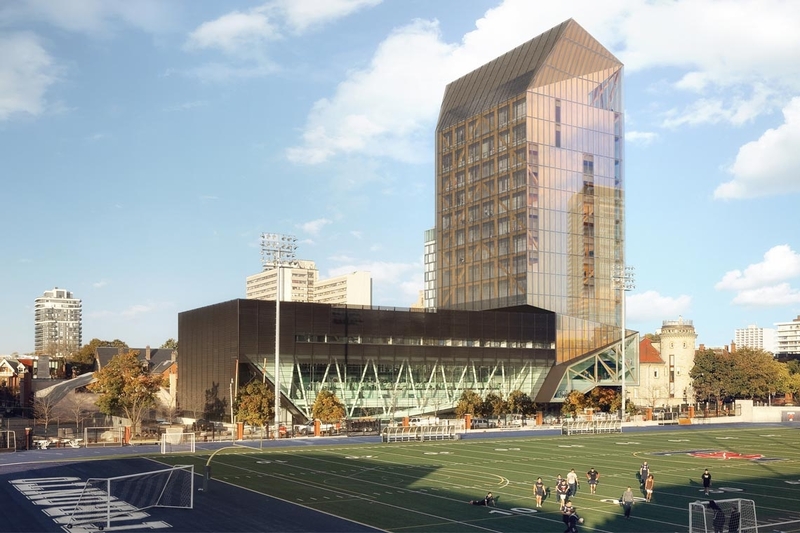 The tower will be built above the Goldring Centre for High Performance Sport and will house a number of academic units, including Rotman Executive Programs, the Munk School of Global Affairs and the Faculty of Kinesiology & Physical Education. “We need to build these buildings as case studies to actually identify and deal with issues and people’s perceptions of wood building, in terms of design, construction and the training of people who will actually build them,” he says.